Each certificate will be mailed to you separately when the relevant unit has been completed. * non-UK students will be asked to pay £20 for printing, postage and packing. TOTAL VALUE OF WHOLE QUALIFICATION BUNDLE £800 - YOU PAY £325 (or £345 for non-UK) - cost of textbooks extra for all students. This course takes an integrative approach drawing from psychodynamic, cognitive/behavioural, person-centred and cognitive-analytic models within a framework of counselling and helping skills. Experience of working with people as a helper is preferable but the course may also be taken for personal interest and self-development. There are no set educational requirements for entry but ability to follow texts at A-level standard or above, and good English comprehension and writing skills, are expected. This course has been estimated as requiring an average of 450 hours of study time. The actual individual study time will vary widely as students have different learning speeds and different levels of familiarity with the material. You may need significantly less or more time to complete the course. The book list below shows you the amount of content available and PDF manuals/ workbooks are also issued for each module. See our buybooks.html link for where to buy books. This serious and practical overview of what counsellors and helpers do looks at counselling communication skills, relationship building, the overlap between counselling and coaching, understanding the client and selecting techniques /issues to work on, improving clients' thinking and coping skills, some approaches to stress and crisis management, ethical isssues, and the professionalism of the counsellor. Working on yourself is a key component of this diploma course. Based on Cognitive Analytic Therapy, the set textbook has many exercises and questionnaires helping you explore yourself on a deep level, and at the same time, providing techniques which you can use with others. Ideally this module should be studied in parts throughout your course. As you study the other topics, you will also spend time working with approximately one chapter of the set textbook per month - doing any of the exercises or other set work in the book. Tutor feedback will be given. This is the only book for the course which is best tackled as a long-term project, because it might be too much for you to cram all of the self-therapy work into a few weeks. By the time you have completed all of the other modules, you should also have completed this module. Nowadays counsellors learn from many styles of working and discover useful additional techniques through their careers. This unit provides a discussion on the use of techniques, and guidelines on empathic responding, focusing, gestalt techniques, therapeutic metaphor, task-directed imagery, ego states, solution-focused therapy, CBT, narrative therapy and self-in-relationship work. From this series of technique "snapshots" the counsellor can decide to take further training later on in approaches that are most appealing. The information will also help to understand the processes that clients with experience of other therapies have encountered. Dynamic psychotherapy sees symptoms or problems as an expression of inner conflict. Parts of our behaviour or feelings which we find disturbing are kept out of awareness and we say that they become unconscious. To keep those aspects of us unconscious, we engage in defence mechanisms, which may help us cope or on the other hand may create symptoms. You will study the history of psychodynamic psychotherapy, the mental processes behind our feelings and behaviour, how the self develops through childhood; how psychodynamic therapists view the mind and how psychotherapeutic relationships work. You will study the theory of the relationship between therapist and client, and look at the two key processes: transference, the emotions the client feels towards the therapist, based upon the client's earlier relationships, and counter-transference, the emotions the therapist feels towards the client, based upon the therapist's feelings towards significant figures in his or her life. This module also looks at some of the difficulties of therapy which are caused by such feelings arising but not being dealt with appropriately. Breathing exercises, Progressive relaxation, Meditation, Visualisation, Applied relaxation, Self-hypnosis, Autogenics, Brief combination techniques, Making relaxation recordings, Refuting irrational ideas, Thought stopping techniques, Worry control, Coping skills, Goal setting and time management, Assertiveness, Coping with job stress, Simple nutrition, Exercise. These techniques will give you scope for conducting classes and groups, including specific techniques in therapy sessions according to the client's needs, using some techniques as "icebreakers" to build rapport, and using them as a complement to other therapies. Your textbook will remain a handy reference to refresh your knowledge of any of the skills whenever you need to. For this unit, you do not need to master all of the techniques but you will study a selection of methods. CBT is one of the most popular and widely recommended short-term therapies and our unit uses an up-to-date and comprehensive text full of practical examples backed up by additional on-line material on the publisher's website*. The unit explains the theory, the therapeutic relationship in CBT, assessment and formulations, measurement and monitoring, client homework and self-help, Socratic enquiry, cognitive techniques, behavioural experiments, CBT relaxation methods, and the therapy agenda with additional material on depression and anxiety. The unit concludes with presentations on several professional and theoretical issues. *We are not responsible for material on external sites and it may change or be withdrawn at any time. Carl Rogers originated the Person-Centred approach, which takes the view that the client knows best and the counsellor's task is to enable the client to find their own solutions. This unit outlines recent developments in this approach and explains how the key values of empathy, unconditional positive regard, and congruence are used in practice. The beginning, middle and end stages of counselling are studied within a Person-Centred perspective which provides insights into the richness and humanity of this counselling process. A final chapter covers what research can tell us about this approach. Having gained an understanding of the Person-Centred approach we move on to its application in a variety of situations such as: bereavement and loss; trauma and post-traumatic stress; abuse; depression; anxiety; dissociation and splits from reality; alcohol; eating disorders and self-harm. This unit acts partly as a review of the phases of counselling and introduces the perspective of Integrative Counselling Skills, though with an accent on a person-centred stance which has already been encountered. Counselling is viewed as a symphony combining skills from different sources and something which can always be improved through continued professional development. The student will be expected to carry out any required exercises with other people (friends, colleagues, students, existing clients/patients, or in a voluntary setting) wherever this is feasible and wherever this does not conflict with the student's existing ethical or contractual obligations. The course is structured so that as much as possible can be done by the student working through self-applied assignments. Several of the modules have supporting multimedia or PDF material online at the publishers' websites. We are not responsible for publisher-provided resources and they may change or become unavailable at any time. We therefore suggest you access them promptly and save what you want. For web research, the Internet provides myriad authoritative websites with information on psychology, mental health and other relevant subjects. 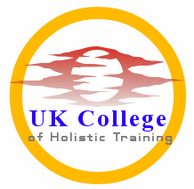 Successful graduates will receive the Diploma in Integrative Counselling and Psychotherapy awarded by UK College of Holistic Training which is a private UK qualification. Course graduates may use the postnominal initials Dip. I.C.P. The course is accredited by Counsellors, Coaches, Psychotherapists and Hypnotherapists (ACCPH) and graduates may apply for membership at basic level and apply for practice insurance. Further, classroom-based qualifications may be required to reach fully accredited status. (We do not provide classroom-based training). We reserve the right to change the syllabus, textbooks, tuition fees, accreditation arrangements and other details of any course at any time. If any key textbook becomes unobtainable we will provide a substitute module based on another book. Successful graduates will receive the Diploma in Neuroscience and Mental Health awarded by UK College of Holistic Training. Distance learning. No time limit. Recommended study period: 9 months or less. Enrol any time. Textbook study plus exercises and reports. Written assignments based on the set textbooks. Assignment questions are issued by email and students return their written work by email. Grades and feedback are normally issued by email. Books should preferably be purchased in the above order.